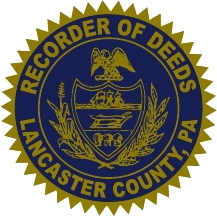 As of January 1, 2018, Lancaster County's NEW Common Level Ratio Factor will be 1.00 due to the County's new reassessment going into effect. We apologize for any inconvenience this may cause, but the PA Department of Revenue informed us as January 12, 2018. If you have any questions, please contact Chief Deputy Joseph Augsburger-Sharpe at 717-299-8237 or at jsharpe@co.lancaster.pa.us. IMPORTANT NOTE: The Proposed Schedule of Distribution of the sale proceeds (PSOD) will no longer be mailed to anyone. Rather, per Pa. Rule of Civil Procedure 3136, the PSOD will be filed in the Prothonotary’s Office once it is available. If you disagree with anything that is in or missing from the PSOD, you must object & explain your reasons in detail by filing written “Exceptions to the Proposed Schedule of Distribution” with the Sheriff’s Office no later than ten (10) days after the PSOD is filed; otherwise, you will be deemed to have waived such objections & you will be bound by the PSOD as filed by the Sheriff’s Office. REALTY TRANSFER TAX STATEMENT OF VALUE CAN BE FOUND HERE.